Astrology is the ancient tradition or study regarding the knowledge and understanding of the celestial bodies like planets and stars at a particular instance and their impact on the human and real life environment. Every person born has some particular planetary positions attached to them. Based on these planetary and other celestial bodies positioning, they fall under a particular zodiac sign. These zodiac signs have their own unique characteristics/traits, special colours, gemstones or birth stones, special flowers, plants and planets that are associated with the person who is born under that particular sun sign. Aries are action people, born to initiate and lead. Rules are meant for the world but not for them. They fight for a cause, irrespective of what people around them believe. 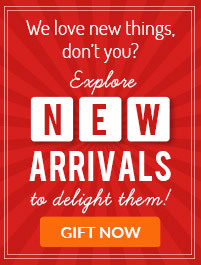 They have an exciting and dynamic personality. It is hard to take lead in a conversation with Aries. It is the first infant of the zodiac sign and hence its needs come first than anything else in the world. 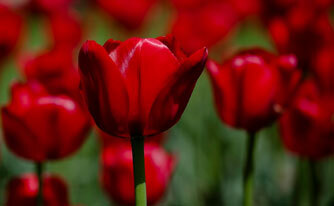 Red Tulips will be an ideal choice for Aries to match their enthusiasm and vigour. These tulips will match well with the boldness that they possess. Tulips are dazzling with energy and zeal, which you wouldn?t miss to find in Aries people. Like the rock of Gibraltar, they are rock solid and there is absolutely nothing which can disturb them. They can exhibit perfect poise for years if you don?t push them to extreme levels because if you try and tease them, you are definitely in for a trouble. Secretly, they are also blessed with a warm heart and have a sensuous side too. 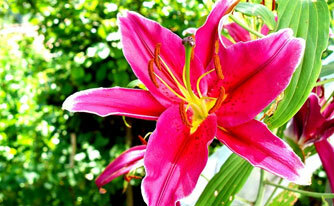 Lilies would be an ideal choice for Taureans as they have an inherent love and appreciation for natural beauty. Lilies, not only look enigmatic, but at the same time their dramatic look is sure to bring up a Taurean?s romantic and sensuous side. Change is the spice of their life. Expressive and quick-witted, Gemini represents two different sides. It is extremely difficult to trace a distinct line between illusion and reality in case of a Gemini. They love to skip back and forth so often that it is difficult to keep a track of it. 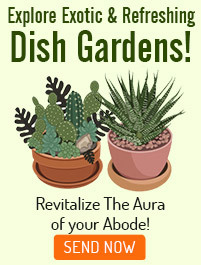 They are highly sociable and pleasing personalities too. 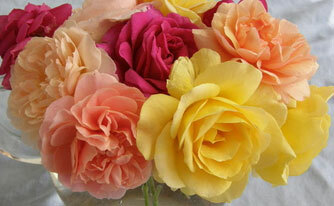 Roses are the best pick for this sun sign as it symbolizes both love and companionship. The wide range of colours in which Roses are available make it the most obvious choice for a Gemini, with each colour representing a different emotion. 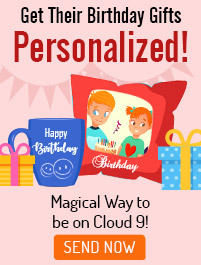 Roses possess the multidimensional or the twin characteristic of a Gemini. Cancer is a water sign symbolized by the crab. Those born under Cancer will exhibit personality traits ranging from sweetness and loyalty to petulance and resentment. They are known for their moodiness. Once you get to know these people, you'll quickly realize that they're actually highly-evolved individuals who aren't just sensitive to their own emotions but also sensitive to other people's feelings. They can be overprotective at times and their loved ones enjoy the warmth of their care. 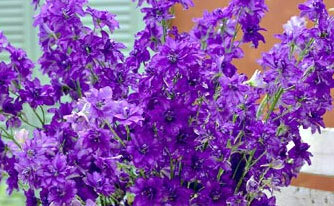 Appreciate their generosity and compassion with very thoughtful flowers called Delphinium. 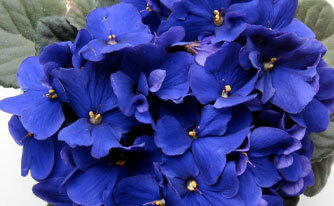 Their ardent love for attachment and open heart, Delphinium will make a way through their heart easily. Send them a bunch or bouquet, they wouldn?t mind either of these. Leo has a brilliant mind and loves to debate, whether the topic is current politics or esoteric ideology. Don?t misunderstand Leo?s flush for ego with a regular blush. Arrogant pride and sunny playfulness is what characterises a Leo. You will watch a Leo hitting all the bright places of the city and they all hate sitting in a dark room and hitting themselves with boredom. They love being in the limelight and sometimes stealing it too. 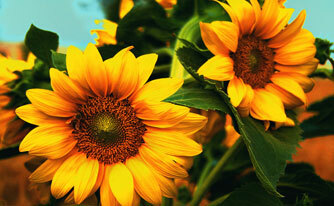 Sunflowers are the best choice for this zodiac sign. They are attention grabbing and they depict a Leo?s strength and confidence. Its yellow colour signifies vitality and intelligence, other strong traits of a Leo. Virgos are said to be the most analytical and organized members of the zodiac. Their perfection-oriented worldview makes them extremely efficient and diligent workers. A place for everything, everything in its place, and everything just so; that's the Virgo ideal. They are typically conservative and often reserved in nature. 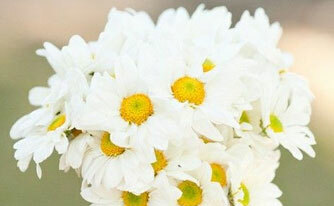 Daisies are the perfect pick for them which will unleash their wise and witty side. The lush textures of these flowers with their legendary qualities will incite a Virgo?s imagination and will bring their fun loving character to life. Librans are the ones who always want to make things right and have balance and harmony in their life, their surroundings and the lives of the people close to them. They express their intelligence through creativity. They are naturally kind and gentle with a streak of romance too. They have captivating charm, elegant taste and they are easy to like due to their easy going nature. 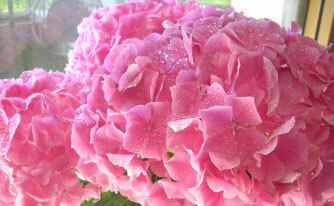 That one flower which captures the gentle and kind disposition of Librans would be Hydrangeas. They symbolize the balance of opposites ? a fitting choice for Libras. The thoughtfulness and gentleness of a Libran is also captured by these flowers. Scorpios are fiercely independent. They are excellent leaders because they are very dedicated to what they do. Since they are quick-witted and intelligent, they feel best in the company of similar people. They decide their own vices and virtues and they are blessed with a strong conviction. There are absolutely no limits for scorpions in almost any endeavours. 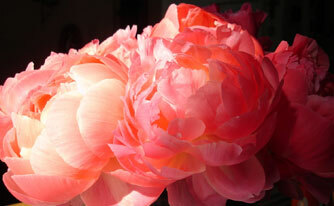 To indulge the sensual and passionate Scorpio, red Peonies would be the best choice. The bold red colour will complement their romantic and powerful side. This zodiac sign is the most diplomatic souls in the world. They have been blessed with a clever mind. 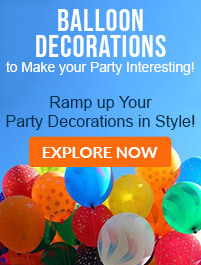 They have quite friendly features which are both cheerful and inviting. Speed is what excites them and they are quite confident in their moves. You can never dash a hope of a Sagittarian and they have an inherent craving for travel and explorations. 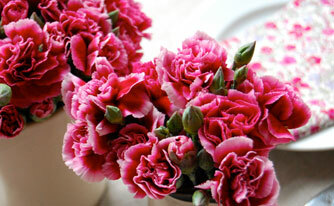 Carnations would be the most obvious choice because it has a variety of symbolism. The inherent nag for adventure and a journey from love to fascination, Carnations are the best flowers to pick to manifest a Sagittarian?s love for strength and endurance. Capricorns are absolute winners. 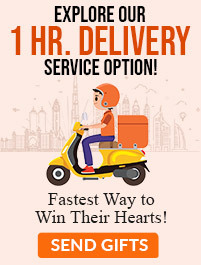 At one moment, you might feel that the Capricorn has absolutely nothing which can put him ahead of the expert and the very next moment you will find them winning the game. They are the ones who will look to you quite harmless but trust me they are the wiser ones who knows of the pitfalls in the shortcuts. They would rather be persistent in following the shortcuts. They love to indulge themselves in beauty and nature. Since Capricorns are the ones who are highly dependable and responsible people, so African violets will be an ideal choice for them. The colourful flowers and the velvety soft petals will be a natural indulgence of beauty and poise for most them. ?Bolt from the Blue? is a phrase which goes well with the Aquarians because they are the ones who would like to shock conventional people with their erratic behaviour and conduct. They are deep thinkers and highly intellectual people who love helping others. Aquarians tend to attach great importance to their friends and love to stay surrounded by them. They are extremely committed to people they love. 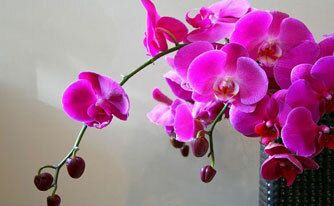 The surprising and romantic Aquarius should be gifted Orchids. Curious and inventive, Aquarius and Orchids make a great pair! Exotic in nature, these flowers are one of a kind, just like Aquarius individuals. People belonging to this sun sign understand themselves and other more than anybody else on the planet. Generosity and compassion is what they are filled with which makes them popular among a lot of people. Rationality is on the back burner and emotions are the front for people belonging to these zodiac signs. 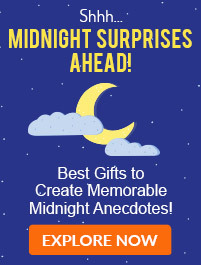 Grand gestures are not meant for Pisces, so send them something which is beautiful and at the same time it is not too showy to make them uncomfortable. 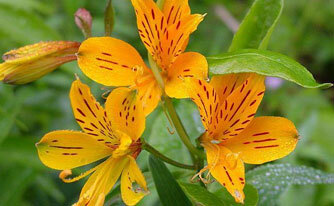 Alstroemeria will be the perfect pick, as they will have their delicate Lilies which will capture both elegant beauty and splendour.